Gold is the most important element of the global financial system, because this metal has many areas of technical applications and its stocks are on the Earth small. Therefore, the purchase of gold jewelry is a good investment of your money. 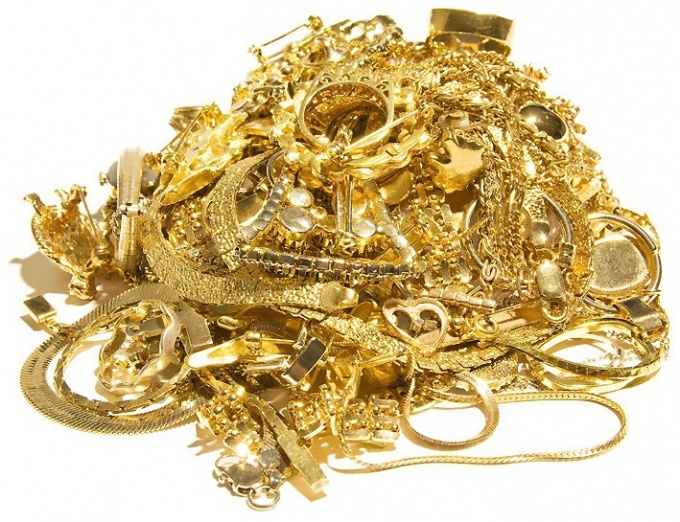 However, you should understand that jewelry gold is an alloy of metals, its main components are silver, gold, copper. Gold alloy refers to the percentage of the precious metal in the alloy. If you decide to evaluate the gold, use some tips. Independently assess the gold is difficult, therefore, to accurately assess the value of the gold jewellery, contact a specialized Agency or Lombard – loan organization that gives loans on the security of property, including jewelry. Here you get oral advice or on request, a written report with photos. Accurate assessment is possible in the presence of equipment for diagnosis of gold jewelry, so this way is most acceptable. If you decide to evaluate your gold jewelry, take a look at the sample. In Russia for jewelry gold set of samples 375, 500, 583, 585, 750 and 958. The presence in the alloy, for example, 75 % of the gold corresponds to 750. The higher the fineness of your gold products, so it is more valuable. Factory stamp on the inside of the product indicates the manufacturer, production date and, of course, sample. The value of the product also depends on its weight. The more weight, the greater the content of gold and therefore the more valuable. Use the advice of experts to assess the Golden ring. Throw it on a flat, smooth surface from a height of 10-15 cm, If the ring after the contact with the ground bounce with a melodious bell, so it is a high quality product. If, therefore, fall in a muffled voice, then contains a seam of soldering and is of lower cost. Gold comes in different colors: yellow, white, pink and even black. It depends on adding to a jewelry alloy of certain elements. Remember that the gold alloy does not affect its color, and hence its value does not depend on color. The most popular in recent years, it has become white gold jewelry alloy with additions of palladium. Products made of this alloy are considered a sign of prestige and denote the belonging to the upper class jewelry. If you are owner of gold bullion purchased in the Bank, you must also contact your appraiser who will thoroughly assess the condition of the ingot. When evaluating gold coins should consider the numismatic value of the coin. This will help you to consultation of experts-numismatists.